Masterpak will attend Horti Fair 2012 to keep up-to-date with international horticultural innovations in the field of breeding, greenhouse technology and growing techniques. Masterpak, co-extruded polyethylene (PE) film manufacturer, will be at Horti Fair 2012 on 30 October – 2 November 2012 to monitor the latest technologies and innovations in the horticultural sector. The event will take place at the RAI International Exhibition and Congress Centre in Amsterdam, Netherlands. Rany Sfeir, Masterpak Market Manager for Horticultural & Agricultural Film, and Karim Souidi, Area Sales Manager Spain & Portugal - INDEVCO Flexible Packaging Division Europe, will meet new customers and prospects at the 4-day event. Furthermore, Sfeir will attend 2 conferences discussing greenhouse covers during Horti Fair 2012. Horti Fair is the largest international horticultural exhibition on "Technology, Innovation, and Inspiration in Horticulture", hosting almost 500 exhibitors from dozens of countries. 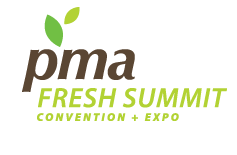 The event features seminars, networking and events about innovations in the field of breeding, greenhouse technology and growing techniques. Interstate Container will meet with processing and packaging suppliers at PACK EXPO International 2012. Interstate Container will attend PACK EXPO International 2012 to examine sustainable packaging solutions and secure a booth for the 2013 PACK EXPO to be held in Las Vegas. 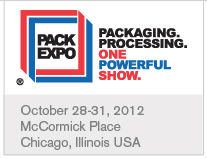 The integrated processing-packaging solutions event will take place in McCormick Place, Chicago, Illinois, USA from 28 - 31 October 2012. Interstate Container representatives, Jeff Cormier, Interstate Container National Sales & Marketing Manager, Matt Clark, Mechanical Packaging Manager, and Frank Biskach, Mechanical Packaging Technician, will be at the event on 30 October 2012 to monitor innovative packaging technologies and solutions providing a platform for next-generation product development. Interstate Container manufactures innovative sustainable Greencoat® corrugated boxes for packing poultry, meat, seafood, fresh produce, floral, and decorative stone, among others. The FBA-certified corrugated box is 100% recyclable, repulpable and compostable due to the eco-fiendly wax-free box coating. Greencoat® boxes offer water resistant properties and withstand shifts from cold-to-hot environments, high exposure to moisture, and rough handling. PACK EXPO International 2012, four-day event, brings together more than 46,000 buyers from all over the globe and 1,800-plus leading suppliers, showcasing state-of-the art materials, machinery and methods for packaging and processing in every market. PACK EXPO International comprises more than 1.1 million square feet of exhibit space featuring comprehensive processing-packaging solutions, breakthrough technologies, on-site demonstrations, as well as new possibilities for improved safety, security, sustainability and cost savings. INDEVCO Paper Containers division releases its October 2012 INBOX corporate magazine. 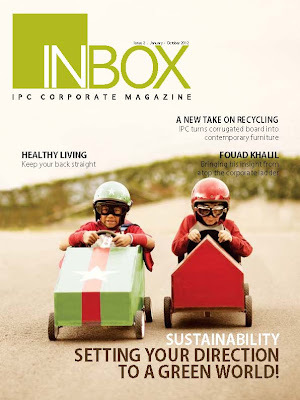 INDEVCO Paper Containers’ new issue of the corporate magazine INBOX discusses the division’s new projects and activities including the latest corrugated innovations, sustainable initiatives, Overall Equipment Effectiveness (OEE) strategies, as well as outsourcing challenges. In line with INDEVCO family spirit, the magazine aims at keeping corrugated packaging division employees informed and engaged. This edition of INBOX focuses on health and safety issues, as well as features an exclusive interview with Easternpak's General Manager, Fouad Khalil. Also available in this issue, INDEVCO Paper Containers offers travel and culture guides, and entertainment exercises. In order to ensure synergy within INDEVCO Paper Containers division, the magazine helps employees get acquainted with the ‘face behind the name’ in the “Meet the Family” section. To view the online edition, click below. 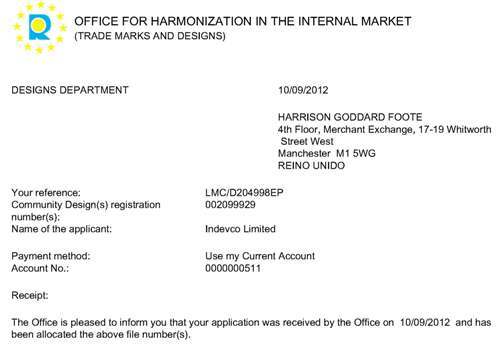 INBOX is published by INDEVCO Paper Containers Marketing Department, with all rights reserved. INDEVCO Paper Containers, a division of INDEVCO Group, specializes in corrugated packaging and operates in four manufacturing plants in the Middle East, North Africa and Europe. INDEVCO Paper Containers packaging services include flexography (pre-print and post-print), offset printing and finishing techniques from lamination to varnishing, serving the agriculture, beverage, chemical and petrochemical, dairy, hygiene disposables, industrial, pharmaceutical, processed food and soap and detergent sectors in Europe, the Middle East and Africa. 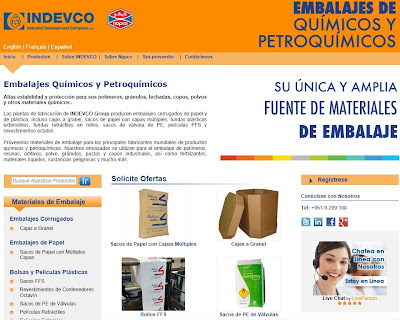 Unipak, Unipak Nile, Unipak Hellas, and Easternpak are members of INDEVCO Paper Containers. INDEVCO Flexible Packaging Division to present the impact of shale gas evolution on Gulf Cooperation Council (GCC) plastic converting sector for prominent global polymer industry players. Sarkis Dagher, Global Key Account Director at Napco Group, will represent INDEVCO Flexible Packaging Division, at Dubai Plast Pro 2012: 14th World Congress. The international congress and exhibition will take place from 15 - 17 October 2012 at Raffles Dubai Hotel, Dubai, United Arab Emirates. Dagher will discuss the impact of gas technology on petrochemical industry growth, as well as new challenges facing the GCC petrochemical industry and plastic converters. Furthermore, he will present future projections of shale gas exploration, as well as effects of global petrochemical industry trends. Dagher will also reflect on future considerations about GCC polymer industry on the trade/export map in 2020. Dubai Plast Pro 2012 program covers the changing polymers industry landscape and offers insight into solutions and opportunities. Speakers at the event will present the latest state-of-the-art equipment technology in the Middle East to enable plastic products producers to further compete in premium market applications such as multifunctional packaging, engineering, architectural, construction, pipes, profiles and recycling. INDEVCO Paper Containers division receives copyrights for Manhattan and Venice pizza box designs targeting the European market. INDEVCO Paper Containers’ member companies developed appealing and innovative pizza box designs to meet European market demand. By attaining copyrights on the visual designs, INDEVCO Paper Containers aims to safeguard its customers interest and ensure that offered packaging designs are unique and protected. INDEVCO Paper Containers division initially launched the Manhattan pizza box design in 2009, as a result of the success of the original red and white pizza box design. The corrugated delivery box offered a new attractive design to the European market, integrating high resolution preprint graphics. 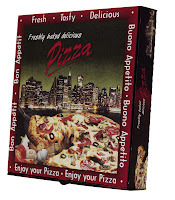 Consistent with INDEVCO Paper Containers’ objective to continuously innovate and offer customers new vivid packaging designs, the division launched the 3D Venice pizza box in 2011. 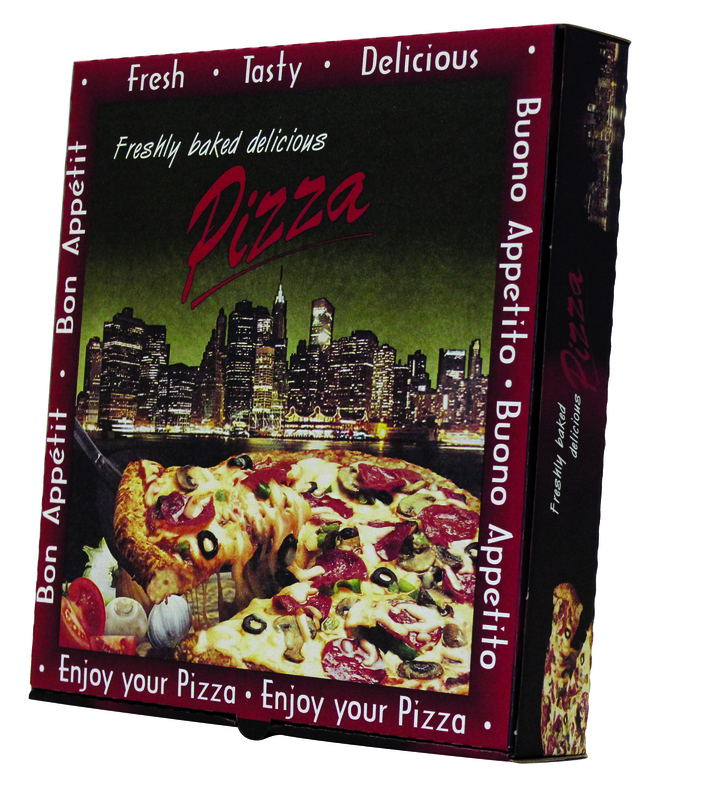 Venice pizza boxes offer three dimensional high-quality graphics printed on recyclable paper. The graphic, standing-out with its continuous design, completes the concept of functionality, attractiveness, and sustainability. “The boxes, branded under Manhattan and Venice pizza boxes, feature a remarkable preprint design that became well-known in the market. They are considered to be among our most successful products in Europe.